The Kansai Region (Kyoto, Nara, Osaka, and Hiroshima) is famous for its many World Heritage sites and delicious cuisine. 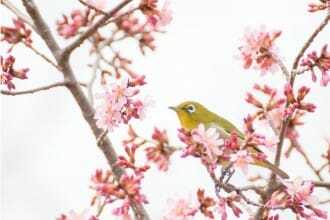 This article introduces ten great cherry blossom viewing spots in the area that you shouldn't miss in 2019! Kansai, or Western Japan, is an area that includes Kyoto, Osaka, Nara, and Hiroshima. 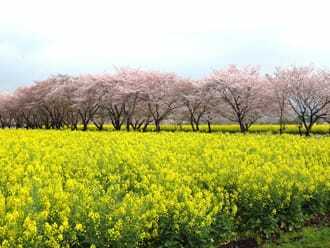 The region transforms into a beautiful destination filled with cherry blossoms in the spring. 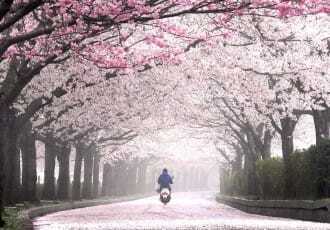 In this article, we introduce ten recommended destinations to admire the sakura. This is Kyoto's oldest garden, which opened in 1886. This Japanese garden, which has fountains and wisteria flowers, boasts a wide variety of scenery changing with the four seasons. Japanese-style restaurants, cafes, and an amphitheater with the capacity of 3,000 seats are also available in this garden, making it a place of recreation for the citizens of Kyoto. 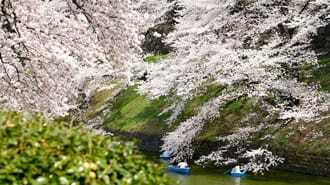 In spring, about 800 cherry trees bloom, and the garden is filled with tourists. 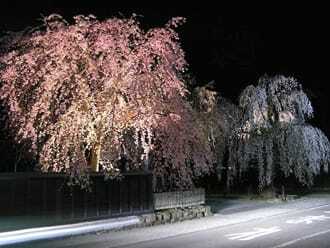 Don't miss the famous shidarezakura (weeping cherry tree), also known as the Gion Yozakura ("night viewing of the cherry trees in Gion"). 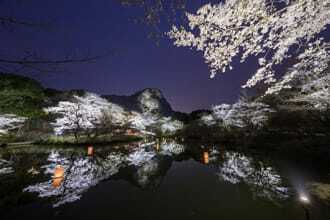 The illumination emphasizes the beauty of the Japanese cherry trees in bloom. Daigoji Temple in Kyoto is designated as a World Heritage site. It is not only a place where the people offer their prayers, but also a place where visitors can appreciate precious cultural assets such as the five-storied pagoda and the Sanboin, with its beautifully-kept garden. Daigoji's collection, which consists of 150,000 artifacts such as Buddhist statues and paintings, includes 69,419 national treasures and 6,522 important cultural assets designated by the Japanese government. This temple has played an important role as a guardian of traditional culture. Visitors can enjoy the cherry blossoms located everywhere in the grounds, along with the prized architecture of the temple buildings. It is said that Toyotomi Hideyoshi, who ruled over Japan more than 400 years ago, came to this temple to view the cherry blossoms. The Philosopher's Walk (Tetsugaku no michi) is a picturesque path in the city of Kyoto. 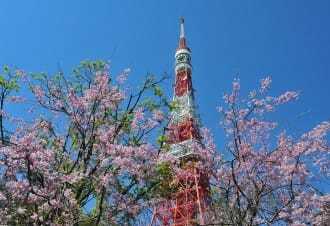 It is an easily-accessible spot for cherry blossom viewing, and is around 2-kilometers in length, starting from Eikan-do Temple and leading to Gingakuji Temple. 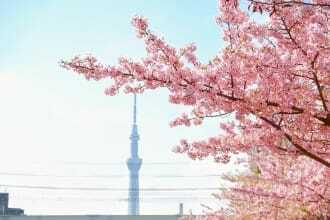 There are approximately 500 sakura trees planted along the path, that visitors can enjoy on a leisurely stroll. Many cats live in the area too, making it an ideal photo opportunity for animal-lovers. Osaka Castle in central Osaka is considered one of the three best castles in Japan and is also famous for its cherry blossoms. Osaka Castle Park is a spacious park that surrounds the castle. 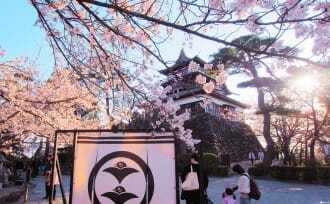 Inside the park is the Nishinomaru Garden, an area right by the castle, home to around 300 sakura trees. 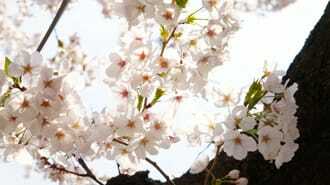 Osaka Castle Park during the cherry blossom season is an ideal photography spot. 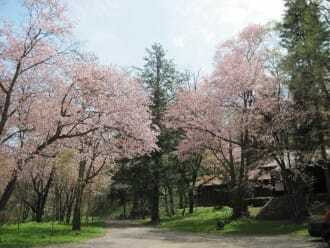 Visitors can lay down blankets and tarps to have a picnic or hanami party under the delicate pink trees. Admission Fee: 200-yen admission fee (middle school student age and under are free) for the cherry blossom area overlooking the castle. The Okawa River runs along the borderline of Miyakojima Ward and Kita Ward in Osaka City. In this area, the Kema-Sakuranomiya Park on the Miyakojima side and the Zohei-kyoku on the Kita side, are known as the two famous sakura viewing spots in Osaka. About 4,800 cherry trees line up in the area between Tenmabashi Bridge and the Sakuranomiya Bridge, and a large number of visitors revel into the night. The Kema-Sakuranomiya Park stretches for 4.2 kilometers on both sides of the Okawa river. Buildings displaying the architecture of the early Meiji period, such as the Zohei-kyoku and the Sempukan (former guesthouse of the Mint Bureau), are located on the right bank. 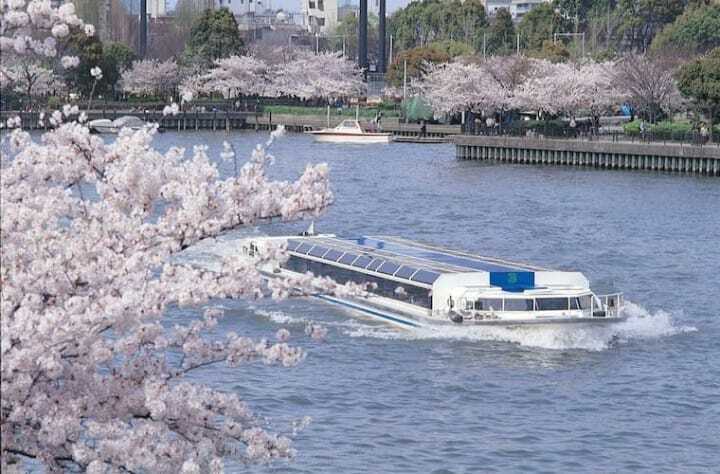 In spring, the tree-lined road turns pink, and the visitors can enjoy the beautiful riverside scenery, as well as the sakura viewing cruise on the Okawa river. When they hear the word Nara, most Japanese think of the deer roaming in Nara Park, a symbolic site in the prefecture. 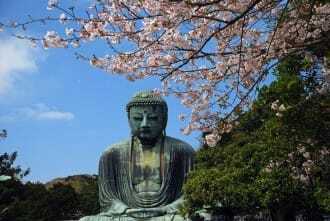 Todaiji Temple, Kofukuji Temple, Kasugataisha Shrine, Nara National Museum and the Shosoin are all located in Nara Park. Wild animals, such as deer and squirrels, are running around in the tree-lined areas, making this park a truly exceptional one. The cherry blossoms can be seen over the spacious lawn, along with the cute animals, and with this view, the visitors feel that spring has come. 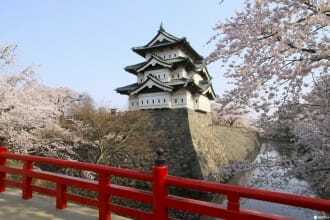 Yamatokoriyama City, located in the northern area of Nara Prefecture, is famous as a jokamachi (the seat of the daimyo's government), and also for its castle. 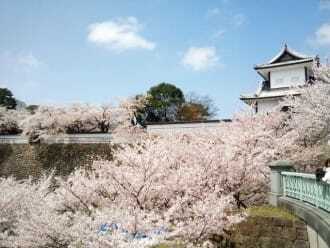 Koriyama Castle, built in 1580, is one of the best sakura viewing spots in the prefecture. 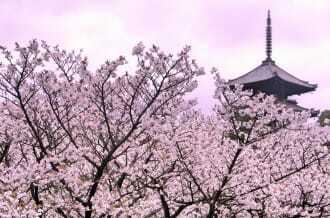 It is known as the gotenzakura ("cherry tree area of the palace"), adored by the people for over 400 years. 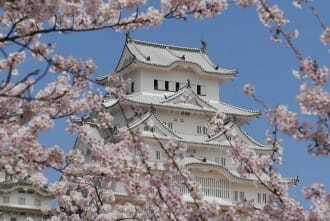 Every year, from late March to early April, the Yamatokoriyama Castle Festival is held here, and visitors enjoy events such as the illumination of cherry trees, goldfish exhibitions, and parades. Mt. Yoshino in Nara Prefecture is one of Japan's most renowned cherry blossom spots with its over 30,000 sakura trees of different varieties covering around nine kilometers up the mountain. 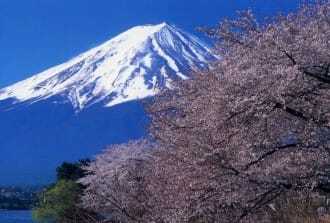 Temples and shrines are also in the area, as well as a ropeway visitors can ride to take in the sakura-filled landscape. This mountain is also designated a UNESCO World Heritage site due to its historical use as a pilgrimage road for practitioners of Shinto mountain worship. Visitors can enjoy being surrounded by the pink and white scenery and the cultural and spiritual significance of the area. Peace Memorial Park in Hiroshima City, Hiroshima Prefecture, is an area with great historical significance and plays a critical role in educating visitors about the importance of international peace. 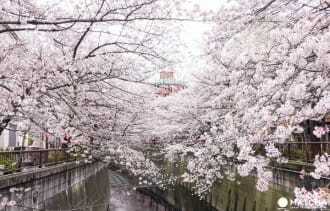 This large park is also stunning in the spring when the cherry blossom trees bloom on the grounds and by the river. Each year, many people come to visit the park, enjoy the scenery, and have picnics under the trees. 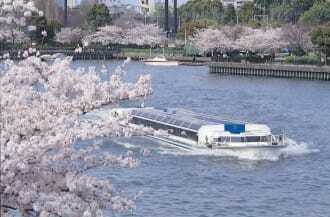 The sakura along the river create a picturesque and unique spring scene. 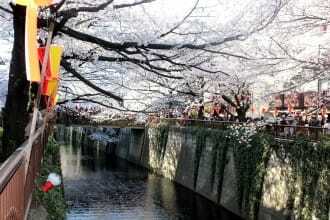 Ueno Park in Shobara city, Hiroshima, is a stunning cherry blossom viewing spot situated around the Ueno Pond. 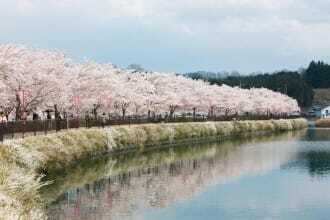 The sakura bloom in spring, framing the pond and creating a colorful and spectacular scenery. The Shobara-Ueno Cherry Blossoms Festival is held annually in April, where the park is opened during the night, giving a spectacular view of illuminated cherry blossoms and the red bridge on the pond. 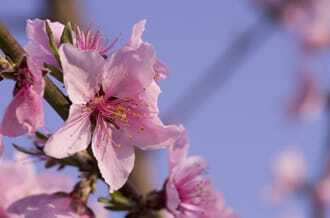 All of the spots listed above have a rich history, and people have enjoyed the cherry blossoms over a long period of time. 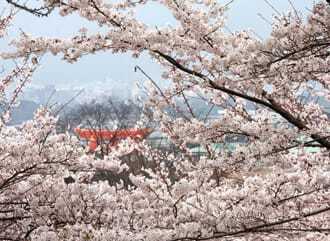 Visitors can also enjoy sightseeing in the areas above, so if you have the chance, go and view the cherry blossoms which have been adored for hundreds of years.